Originally published by the ABC at The Drum. It would be a mistake to write off the new Prime Minister’s climate change policy ambitions at this early stage. With global momentum building, the situation could look very different after the next election, writes Warwick Smith. China’s announcement that it will implement a nationwide emissions trading scheme in 2017 is globally significant, but it also shifts the power balance in Australia’s climate policy chess game. For Turnbull, and others in the Federal Government who take the threat of climate change seriously, this is not about convincing the climate naysayers in the Coalition of the merits of more meaningful action; it’s about working towards checkmate where all of their reasons against action are undermined and they have no more publicly defensible arguments. 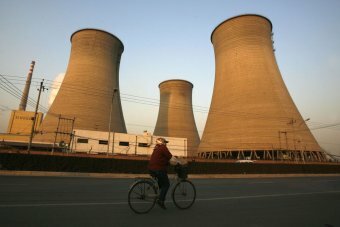 The inaction of the US and China, the world’s largest emitters of greenhouse gases, has long been one of the key excuses for inaction in Australia. The argument has been repeatedly made that if China and the US are not taking action, then it’s pointless for us to do so. That excuse is clearly no longer credible – if it ever was. Where a real global agreement will come is when China and United States reach a point of common position and when that’s backed up with India and the EU. Ongoing joint announcements by China and the US on their climate policy pledges are representative of international momentum that is steadily building towards the critical Paris climate conference in December. Leading the way, Sweden has just announced plans that it says will set it on the path to become the first fossil fuel free nation. The likelihood of a meaningful agreement being reached in Paris is growing by the day. Both explicit and implicit pressure is building on Australia to come to the negotiating table with more ambitious emission reduction targets. Despite this building pressure, Malcolm Turnbull has recommitted the Coalition to the emission reduction target announced by Tony Abbott (26-28 per cent reduction on 2005 levels by 2030) and has signed an agreement with the Nationals that there will be no change to Coalition policy on climate change. Many think Turnbull has sold his soul to the right of the Coalition in order to become Prime Minister. However, Turnbull’s ego and self-confidence should not be underestimated, and it would be a mistake to write off his policy ambitions at this early stage. That said, in order to pursue his own climate policy goals, he has to play a highly nuanced game. Turnbull must stick to his agreements with the right of his own party and with the Nationals in order to create the stability needed to win the next election, but he also needs to give signals of his intention to change policy if he’s to avoid the accusation of acting without a mandate. He currently appears to be putting the Coalition into something of a policy holding pattern in the short to medium term, placing pressure on Bill Shorten to lift his game in response to flagging support for Labor in the polls. After the next election, if the Coalition wins, all bets will be off and the agreement between the Liberal and National parties will be renegotiated. After an election win, Turnbull will be in a much stronger position to push his own agenda both within the Liberal party and with his Coalition partners. It is in this context that we should view Environment Minister Greg Hunt’s recent comments regarding the possibility of strengthening Australia’s targets during future reviews the Paris agreement. This doesn’t break promises made to the Nationals (though it will certainly make them nervous) but it signals to the electorate that the current weak targets are not locked in for the long term. Comments like these create the escape hatch against future accusations of backflips or broken promises. Despite what he may be saying publicly, we know that the Prime Minister thinks the direct action climate policy is inadequate. He’s stated openly and plainly on more than one occasion that putting a price on carbon is the only way to achieve the kind of deep cuts that are needed to avoid the worst impacts of climate change. Watching him walk the tightrope between the promises he had to make in order to become Prime Minister and his own personal views will likely be one of the more interesting political spectacles of the coming year. This entry was posted in Australian politics, climate change and tagged carbon pricing, climate, ETS, Malcolm Turnbull, The Drum. Bookmark the permalink.